When you're ready to work, slide into this Wrangler Workwear Men's Navy WS20 NV Canvas Short Sleeve Work Shirt. You'll love the professional style and comfort, and it's designed to stand up tough to hard work and wear, just like you. Double-needle stitching in ... (see full details) (see specifications) #WRGWS20NV. When you're ready to work, slide into this Wrangler Workwear Men's Navy WS20 NV Canvas Short Sleeve Work Shirt. You'll love the professional style and comfort, and it's designed to stand up tough to hard work and wear, just like you. Double-needle stitching in the construction makes this shirt durable with a tailored, finished look. A sturdy canvas weave in a 5.25-ounce blend of 60% cotton and 40% polyester delivers long-lasting wear that feels good. Cotton is naturally breathable and soft against your skin, and polyester adds toughness plus wrinkle-resistant, fast-drying performance. Taking care of this shirt is a breeze; just machine-launder at home or industrial wash, light soil. It's finished for color-retention, soil release, and wrinkle-resistance. This collared, short-sleeve button-down design is made with a straight bottom hem with side vents for versatile comfort. Wear it tucked in or leave it untucked for plenty of moving room that won't bind you as you move, bend, and twist. Back pleats and full seamless underarm gussets (extra fabric) give you even more comfort and freedom of movement. It's a style that works with you instead of fighting you at every twist and turn. For a crisp appearance all day long, this men's top has a seven-button front and a banded collar with permanent stays to help the collar lie flat instead of turning up at the tips. Offered here in navy blue, it goes with just about everything. Designed for work, this versatile men's shirt features hex-style dual chest pockets with buttons for storage, and the left pocket features an external pencil stall for added convenience. 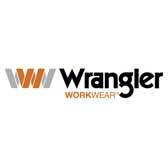 This Wrangler Workwear Men's Navy WS20 NV Canvas Short Sleeve Work Shirt is a smart workwear choice. You'll be ready for whatever the day brings. Yours is waiting for you at Working Person's Store. Buy it today! I purchased this shirt because this is what our volunteer Mounted patrol wears. I like the way it fits and the feel of the fabric is nice. It washed well. I would recommend this product to others because of it's durability and wash and wear. Got a great deal just before Christmas on a order and I am very happy with customer service. These shirts look like the best short sleeve shirts I have ever had I haven't got a chance to wear them yet because of winter but the long sleeve shirts I got are working great. I will be shopping here again. Can't wait to try them this summer, thanks. My Auto mechanic husband loves these shirts. They have the roominess across the shoulders that he needs because of the generous vent cut. The quality is good. The weight of the fabric is perfect for our Northern climate. However, we notice that the stain-resistance is a bit lacking. Overall, they are a good value and look nice after 10+ washings with high-grade detergent, and no wrinkles after drying. Wrangler Workwear Shirts: Men's Navy WS20 NV Canvas Short Sleeve Work Shirt is being added to your cart.